When you join the Whitehorse Business Group, you’re joining over 150 businesses looking to connect and grow with you. Solid relationships and word of mouth is still one of the most trusted techniques to build your business. People like to do business with others they know and trust. A membership with the Whitehorse Business Group gives you access and the exposure you need to get your business network thriving. 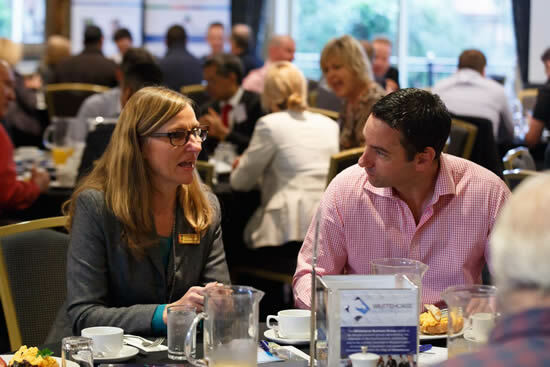 If you’re a business professional in Melbourne looking to connect with like-minded professionals and learn from well-seasoned leaders who can help you improve and grow your business, a membership with us makes sense. Why join the Whitehorse Business Group? We’re one of Melbourne’s largest business networking groups and we work hard to host Melbourne’s best quality networking events and professional development workshops. Our events are flexible and cater to our members’ needs and our guest speakers are exceptional and always inspiring. We make membership affordable and events so valuable, you won’t think twice about taking the time to leave the office. We guarantee your time will be well spent. Our annual membership costs $143 per business. We know this is great value. If you find one new client, your membership has paid for itself. Membership with us makes sense. How will you benefit from a membership with the Whitehorse Group? We look after our members. By becoming a member, you and your business will get a range of tangible and intangible benefits. Build your professional credibility and raise your business profile. Learn from experts and share ideas to improve your business practices. Discover partnerships to enhance your personal and professional success. Be part of a supportive and successful business community. An invitation for all employees to all of our events. Free attendance at selected events. Discounted tickets to all events. A members’ news announcement at selected events. An ‘alliance network pass’ to attend networking events hosted by our group partners across Melbourne’s eastern suburbs. A 12month profile page on our website directory. This includes your logo, company overview, contact details and website link. Appearance as a ‘Featured Member’ on our website homepage. A ‘Featured Member’ promotion via our Facebook page or LinkedIn. Our members have exclusive access to a range of affordable sponsorship opportunities. These opportunities increase your reach and exposure to a large targeted list of potential leads. What types of businesses benefit from membership? Our existing members represent a rich variety of businesses in terms of size and industry sectors. Many members are based in Melbourne’s eastern suburbs. A considerable number travel from all sides of Melbourne, because our events are worth it. Whether you’re a creative freelancer, an SME decision maker, or head of a multinational looking for leads, suppliers or learning opportunities, you will benefit from joining the Whitehorse Business Group. Are you ready to give your business network a boost? "My wife and I joined Whitehorse Business Group with two key factors in mind. We wanted to improve our business practices and grow our client base. We've achieved both. We both thoroughly enjoy the networking events and the workshops with impressive speakers to learn from. We've also connected with our local professionals who have contributed to improving how we do things and it's been great to grow our client list."